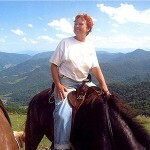 Linda has lifelong experience with horses and livestock as well as management and hospitality. 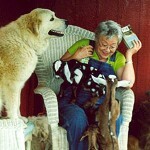 Linda is in charge of the garden, the sheep, goats, and poultry, and also manages the Barnhouse. You might get to give her a hand with shelling beans, putting up pickles, or carding wool from our Shetland sheep. 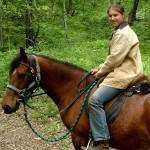 Mary Adore is a homegrown naturalist and archeologist, and has ridden horses since she could reach the stirrup. 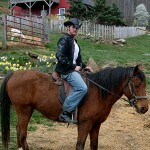 She oversees Randall Glen entertainment and activities, and manages the stable as well. She may be taking you on a hike and sharing lore about wildflowers, animals, and local history, and she might be leading you on a trail ride, too. Our trail guide Caroline will show you some of the most beautiful trails you’ve ever seen and make sure you have a wonderful ride. 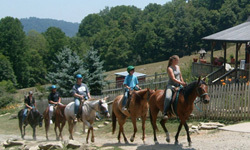 At the barn she’s glad to teach kids and grownups about horse care and grooming, and let you lend a hand. Caroline is also a knowledgeable organic farmer and she oversees our farm Intern program. Joe’s one of our trail guides and not only will he take you on a great trail ride, but we bet he’ll have you laughing too. In addition to being a horseman, Joe’s an experienced farmer and you’re likely to see him plowing the garden, doctoring a goat, or milking the cow. Marc is in charge of the Randall Glen Gem Mine and he’ll make sure you find treasure. He and his assistants will teach you everything you need to know about mining and how to identify your gems. Marc’s a native Southern Highlander, and if you’re lucky you might find him leading you on a mountain hiking adventure and telling you some great tales about these parts. Mary Adore’s son Galen helps us out when he’s on leave from the Army. 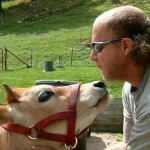 He lends a hand with everything from running the stable to bottle feeding animal babies or harvesting in the garden. 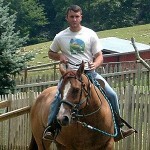 He’s spent time in the woods of the Great Smokies all his life and he can lead you on some great adventures.